Technology kills jobs. It’s an inevitable truth. Cashiers are being replaced by self-checkout lines. Rental boxes replaced the need for movie rental employees. In the next 10 to 20 years, dozens of professions will dwindle and die, like cashier, newspaper distributor, typist, print journalist. Individuals within those fields are facing an almost constant aura of job insecurity. They might yearn for job security within their field, the continual advance of technology places them in an increasingly precarious situation. If you’re within an endangered profession, it might be best not to blind yourself to that reality. You face the inevitable extinction of your field. In the slow and steady decline of your industry, there is a good chance you will one day be left jobless with the disappearing Jobs. Not all is lost. Knowledge, in this case, is power. Individuals can strategize a possible career change to ensure that they aren’t eventually left unemployed for an extended period of time. Start researching and working toward a possible career change today. Thankfully, technology is also creating new professions and boosting the growth of slightly older professions. Below are 10 jobs that technology is supercharging. Any of them would be a stellar career choice. Virtual reality (AKA VR) has been the new, hot technology that has taken the gaming industry by storm over the past few years. It has been projected that the VR industry will be worth $150 billion dollars by 2020. As the industry grows, the career prospects within the field will increase and expand well beyond the VR gaming industry. UX Designer: Work to ensure the overall VR product has a streamlined user experience. UI Designer: Works on the page level design of the VR product. Unity Developer: Sets foundation of good user experience with Unity 3-D software. 3-D Modelers: Create lifelike digital imagery. Animators: Bring 3-D models to life. Required: Degree in art, computer graphics or related field. Videographers: Create and edit clips for marketing and entertainment purposes. Special Requirement: Degree in film or broadcasting. Technology has allowed companies to take their business market research to the next level. Rather than rely on customer surveys, companies can optimize their marketing, sales, management and company trajectory by analyzing a variety of data sets. While companies have always done this to some extent, technology has allowed companies to go further than ever before. Companies can now hire data analysts to look at, categorize, and draw conclusions from large pools of date. Enact actions that can lead to future success. As of 2015, there were 4.4 billion data analyst jobs. The field is rapidly growing. By 2020, the number of enterprise level organizations that invest in data analytics is a projected rise from 70% to 100%. Budget Analyst: Evaluates and makes recommendation about a company’s spending. Financial Analyst: Analyzes financial assets to advise companies as they consider investments. Management Analyst: Analysis focuses on improving efficiency within the company. Computer Systems Analyst: Researches different technology that can be adopted to improve workflow. Market Research Analyst: Determines company’s core sales demographic and works to improve marketing strategies. Business Intelligence Analyst: Analyzes a company’s data and presents that information to clients, coworkers, or employers. Clinical Analyst: Evaluate data of clinical information systems. Special Requirement: Bachelor’s degree in social science, life science or health informatics. The transition from paper records to electronic health records (AKA EHR) led to the creation of a new healthcare oriented career path: health informatics. Health informatics is a relatively new career that is rapidly growing. The health informatics profession is projected to grow 22% by 2018. Health informatics professionals focus their time on the creation, maintenance, and the security of EHR systems. Professionals within the field also focus their time on the analysis of EHR data to provide more efficient, safer, and potentially less expensive care. Chief Medical Information Officer: Works on IT infrastructure to ensure it is effective and efficient. Required: Master’s degree in Informatics. Health Informatics Director: Leader of EHR technology in healthcare facilities. Required: Master’s degree in Informatics and experience. Healthcare IT Project Manager: Oversee IT projects in healthcare facilities. Required: Bachelor’s or Master’s degree in Business Admin or related field. Clinical Informatics Manager: Manages clinical information system, trains and manages employees on system, and ensure EHR meets federal and state guidelines. Health Informatics Consultant: Implement, maintain, and troubleshoot technology in healthcare settings. Required: Master’s degree in health informatics or related field. Nursing Informatics Specialist: Work with nurses and technology to be the bridge between the two. Required: Bachelor’s degree in nursing. Electronic Medical Record Specialist: Enter data into software programs. Required: At least an associate’s degree in health informatics. Technological advances inevitably ushers in change. That change leads to the slow decline and potential loss of entire professions. 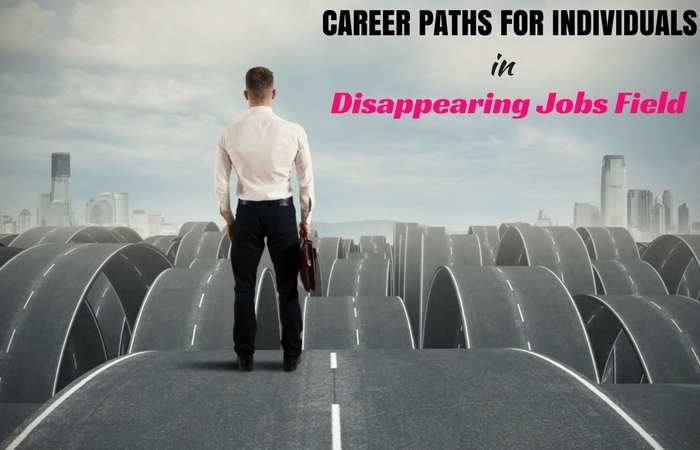 The loss of an entire profession, whether sudden or slow, can lead to millions of individuals scrambling to find new career prospects. If you’re working in a field that is slowly dying, you might want to prepare an alternate career path. A safe place to start is to consider professions that have been supercharged by technology. Virtual reality, data analytics, and health informatics professionals are all stellar career prospects to consider as you re-evaluate your professional career. About Author: This is a Guest Post from Samantha Stauf. She is a college graduate who enjoys kayaking, snow-shoeing, reading, and writing. She spends her free time writing about career and business.